Eyebrows are a unique feature – the colour, shape and size, of our eyebrows are all different. Eyebrows can help with facial recognition and help to strengthen and define facial structure. Eyebrows are in control of expressing 70% of your emotions and are therefore are a key facial element. With the right brow shape and colour, HD Brows can contribute to taking years off your appearance. 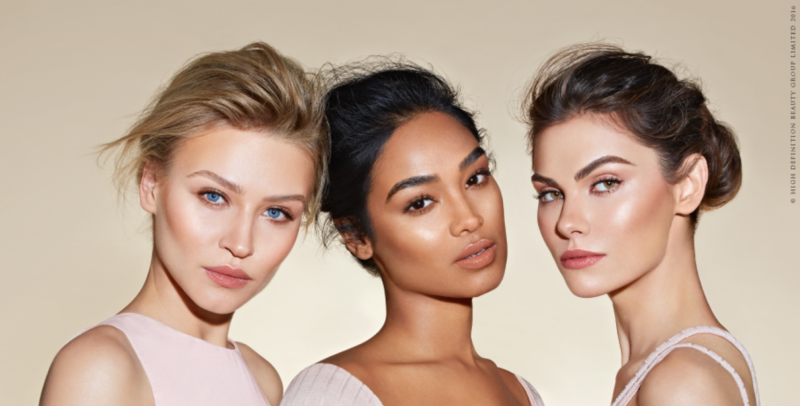 The 7-step HD Brows treatment includes tinting, waxing and threading where necessary, with stylists using a specially designed formula to give you perfectly defined brows. The first step is a full consultation, taking into consideration your facial structure and hair colour. We then advise on brow arches, thickness and colour tints. Every HD Brows treatment is 100% individual. Our fully trained stylists assess the shape of your face and colouring before creating a bespoke brow, tailored exclusively for you. Should you have sparse areas in the brow our expert stylists will work with you on a re-growth programme to achieve the perfect brow. The Lanes Health & Beauty also stock the full High Definition range of make-up, including pencils, powders, brushes that can assist you in covering sparse areas until they natural grow in occurs. ‘High Definition’ is the award-winning beauty brand, globally renowned for innovative treatments, world-class cosmetics and industry leading professional artistry; the go-to for countless celebrities, make-up artists and beauty editors. Initially established as a bespoke eyebrow brand known as HD Brows, High Definition’s offering has since expanded due to organic demand from the public for more treatments and products with the same quality and professionalism. Please note: all tinting HD and LVL treatments require patch testing 48 hours in advance.